In the 6th century AD, the Near East was divided between two venerable empires: the Persian and the Roman. A hundred years on and one had vanished forever, while the other seemed almost finished. Ruling in their place were the Arabs: an upheaval so profound that it spelt, in effect, the end of the ancient world. In The Shadow of the Sword, Tom Holland explores how this came about. 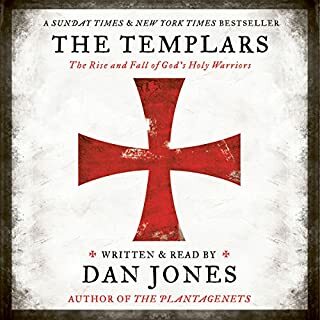 Spanning from Constantinople to the Arabian desert, and starring some of the most remarkable rulers who ever lived, he tells a story vivid with drama, horror, and startling achievement. I loved the way this flowed like a fictional narrative but I wished he would site more sources as the story went along. I would like to know the material he was basing some of his conclusions. I can't believe how rich with details and how well read this book is. My only hope is that Tim doesn't become the next Salman Rushdie. Wow. Tom Holland can really write well. I was struck so much by how the Roman, Sassanian and Arab stories could be woven into a cohesive narrative. So many cruelties in the name of so many religions. In the end, always revolving around greed, wealth, ego & power. Education & the knowledge of it, is the only answer to history repeating itself. 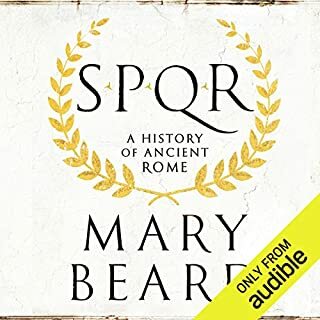 This is a great listen if you're interested in the religious wrestle during the ancient times but I found the description of the book a tad misleading. Still interesting but yeah wasn't quite what I was hoping/expecting. What did you love best about In the Shadow of the Sword? 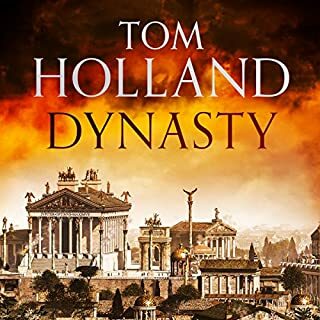 I've read and listened to four of Tom Holland's books, he has the ability to capture a lot of historical fact and put into a way of making it understandable. The narrator is great, and the amount of information in this book is staggering. That said, I found it far too long, especially compared to Rubicon. 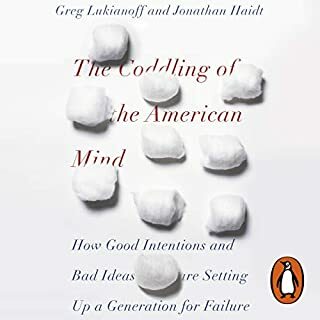 That's to be expected, as the topic is so much larger, but I still struggled to finish this book. The highlight for me was all the information on Sassanids and white huns etc. Recommended for history buffs. The author and the narrator cooperate to tell the story of the march of religion and culture through the end of late antiquity in a way that often has the feel of a rollicking adventure. Though the information content is dense, it comes at the reader with the pace of a good story, and the picture it paints is illuminating and satisfying. Yet another fantastic book from Tom Holland. Yet more history is made interesting and accessible. The performance is also great. this book is a fascinating journey through the origins of Islam, and because the muslim sources are so few in regard of the actual birth of Islam, the author looks to the other civilizations surrounding it's cradle at the time to find clues as to what is true and what is fictional addition from later periods. great narrator, thorough research. An intricate narrative that fits the complex cultural currents clashing at that time in that place. Would you consider the audio edition of In the Shadow of the Sword to be better than the print version? 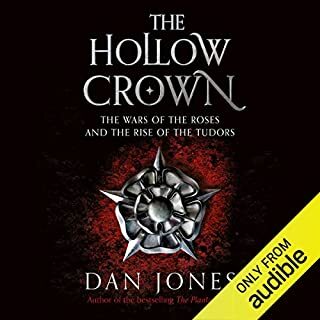 I've got the hardback copy too, which is a joy to read but because of the length of it and my busy schedule it got the audio version to help me along..
No, its long and demands all of your attention but its definitely worth it. 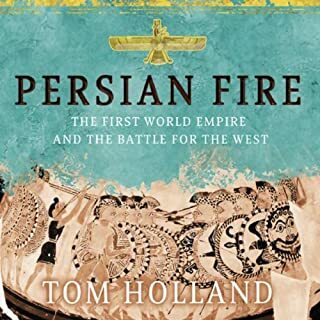 I've been a fan of Tom Holland for a while and this book has only cemented my admiration of his qualities as a historian and writer even further. The content of this book was absolutely fascinating but I did have trouble maintaining concentration. There was something not quite solid enough in the structure for me, but I do struggle to explain what! 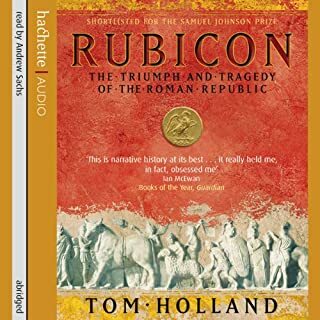 I assumed from Tom Holland's books Persian Fire and Rubicon this would be a kind of politically and culturally explained geopolitical, military history. But I have struggled to get through the book, which in a way is my fault and shows the author has an interesting and different thesis. 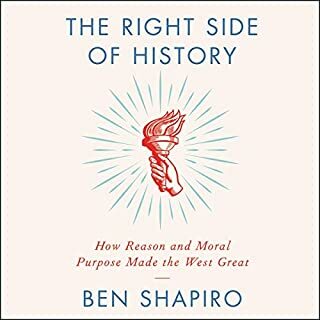 The simple premise of the book is that two ancient superpowers get blindsided by random mounted desert tribesmen uniting under a rehash of Judaism/Christianity, which themselves were mere constructs (I see he won a lot of friends from all three faiths there) which made their conquest easier. 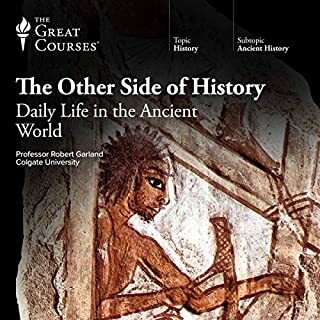 But there is not much military/geopolitical history but more of a religious history of early Islam, Christianity, Rabbinical Judaism and Gnosticism/Ahura Mazdism (the latter of which I still have no understanding of). Though it was an unusual insight into what our religious leaders now portray as eternal religions which the author says at that stage were being made up as they went along, was a long way from the real life "Game of Thrones" I'd been hoping for and means after several months I am only half way through - though the book does fill a valuable gap in explaining what the hell happened to Persia and Byzantium (before it became the rotting apple ready to be plucked by the Ottomans). Does what it says on the tin in terms of explaining what happened to the ancient world, except instead of having "Sword" in the title and a helmet in the sand on the cover, it should have been called "A slow, religious history of the sixth Century or how one hocus pocus beat two other hocus pocuses with minimum swordplay". 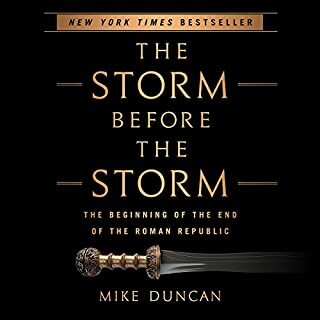 If you want to learn about late Roman empire or the pre Islamic Persian empire, this book will tell it to you via a great story. 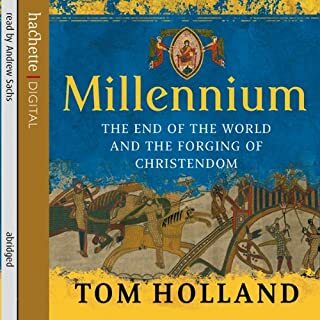 As a former student of ancient history, Tom Holland's work on Late Antiquity captivated me from the beginning. This is a time period much talked about but seldom studied, and it is gratifying to find a work that goes so in-depth about the centuries either side of the foundation of Islam. 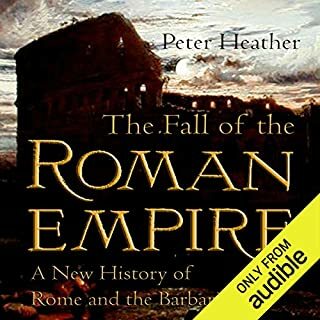 Although often talked about as a work on the beginnings of the second largest religion in the world, this book is in fact much more about the world that Islam was born into, with much given over to the study of the Byzantine and, even more so, Sassanid empires. 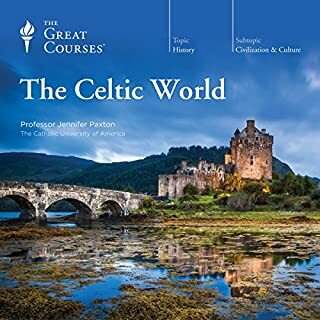 Combined with a brilliant reading from Jonathan Keeble, this book is sure to be of great interest to anyone interested in the world as it transitioned from Antiquity to the Middle Ages. 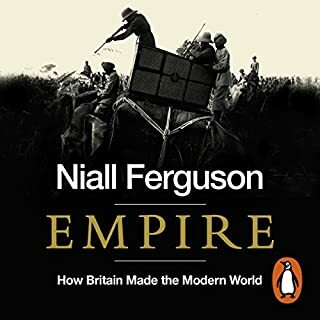 A vast and epic account of the blood-soaked centuries that saw the fall of the ancient Zoroastrian and Christian empires, and the rise of Islam. 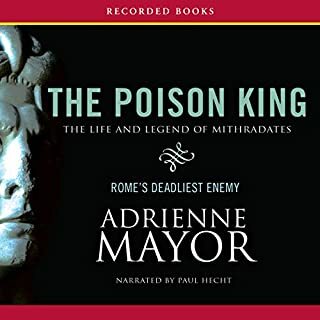 I found the book quite difficult, but I think this was due more to the audio format - where it is more difficult to keep track of the names of people and places - than to the writing itself. However, it was very interesting and the tales from that era are certainly full of drama. And blood. What made the experience of listening to In the Shadow of the Sword the most enjoyable? Rome did not die in the fifth century. 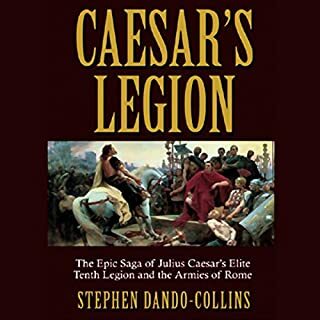 As this excellent historical work demonstrates through the conflicts, struggles and intrigues of the world's two great empires on the cusp of the Middle Ages- Byzantine Rome, and Sassanid Persia. Much detailed information, presented in a manner that was not dull. dry and boring. Also raises some fascinating and intriguing possibilities about the growth of Islam and its relationship to Christianity. 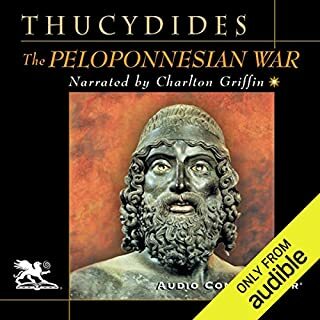 Clear, understandable narration, which made for enjoyable listening. my knowledge of world history comes to an end with the Romans and picks up with 1066 and all that. I was so looking forward to picking up all that happened with the great Islamic empire. Instead of which I find this to basically be a study of how Islam as a religion came to be. Missed my interest by 90 degrees unfortunately. Very well written and excellent for those interested in this topic. However given Tom Holland previous works I think this book should come with a warning. Just read In The Shadow of the Sword by Tom Holland. 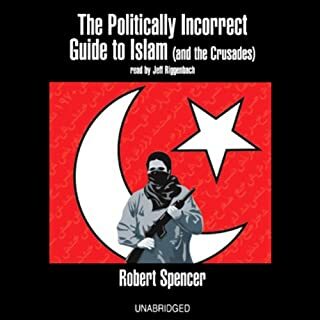 Aspects of this book have caused controversy amongst some learned Muslims. I am a Catholic but I have equal respect for Islam (and for that matter Judaism). For that reason, I will not comment on the controversial passages and my rating (5 stars) excludes the controversial issues. This may appear a strange decision but in reality the passages in question are few. Moreover, it is my view, that issues relating to Islam are best represented by Muslims themselves and the same applies to Judaism & Christianity; followers of our respective religions should have the final (if not only) word on matters relating to our religions. Otherwise, this account of the end of the Roman and Persian empires and the Arab conquests is fascinating. In the West, the Persian empires are not given equal weight to the Roman (and Byzantium) empire. 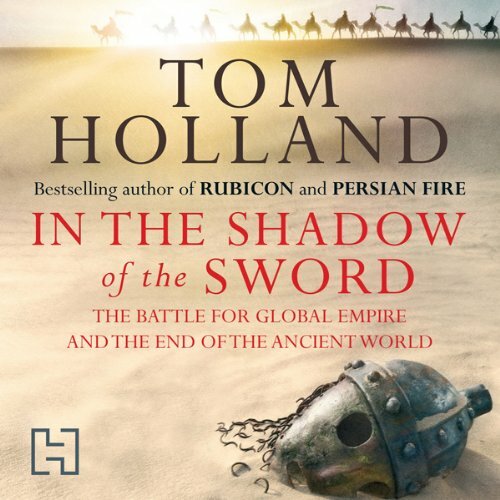 Tom Holland gives a more balanced representation of these great ancient empires and suggests the reasons for their downfall and the swift and unexpected Arab (and Islamic) conquests of lands formerly under Roman & Persian empires. Much is said about the differences and conflicts between our great religions and of course an historical account will bring these to the fore. However, there is also a link and common ground between the monotheistic faiths. This book is relevant to current times but does it assist in bringing these faiths closer together with mutual respect or does it highlight the differences ?